School records: ask for copies or transfer of children's records. Pets: ask about regulations for licenses, vaccinations, tags, etc. Leave all old keys needed by new tenant or owner with the real estate agent. Your children may feel anxious and excited at the thought of a moving adventure. To ensure that they are most comfortable in their new surroundings here are some suggestions. If the children are young, a babysitter may assist you in being responsible for the kids on the day you move into your new home. You must provide the airline carrier with a current health certificate from your veterinarian. Make sure to speak with the airlines about their specific rules and regulations regarding pet transportation. They may provide special shipping containers. If you have a container for your pet, make certain that it fits within the requirements of the airline carrier. Tranquilizers may be appropriate to obtain from your veterinarian to give to your pet prior to the trip. Something familiar to your pet such as a toy or an article of clothing or blanket may help your pet feel more comfortable during the flight. If your pet is flying without you, be sure you have arranged for someone to pick up your pet. If you do not know anyone in the new destination, a local kennel can do that for you. Some kennels will board pets, which may assist you in the move as well. If your pet(s) are traveling with you in the car, be sure to have their water bowl, leash and favorite toy. Be sure to make frequent stops as pets can get carsick easily and being restricted in a car all day can make them nervous and upset. Some motels and hotels offer accommodations for pets. Be sure to plan your stay on the road ahead of time. Smaller pets such as hamsters, birds and other small animals can be transported in the car fairly easily. Make sure that your pet has enough food and water in their cages and are kept out of drafts or extreme temperatures. Cover their cages to keep them quiet and calm. It is best for the plants if you can transport them in the car. Here are some suggestions for moving your plants. Three weeks before you move, prune back your plants to make them hardier and less bulky for the trip. Two weeks before moving, place your plants in a black plastic bag with a pest/bug strip or pest control powder. Close the bag and place in a cool area overnight. This will kill any pests on the plants or in the soil. The day before your move, place plants in the travel containers. Cardboard boxes are preferable. Secure the plants by packing dampened newspaper or dampened packing paper around the base of the plants and soil. Use more paper to cushion the leaves and place a final layer of wet paper on top of the plants to keep them moist. 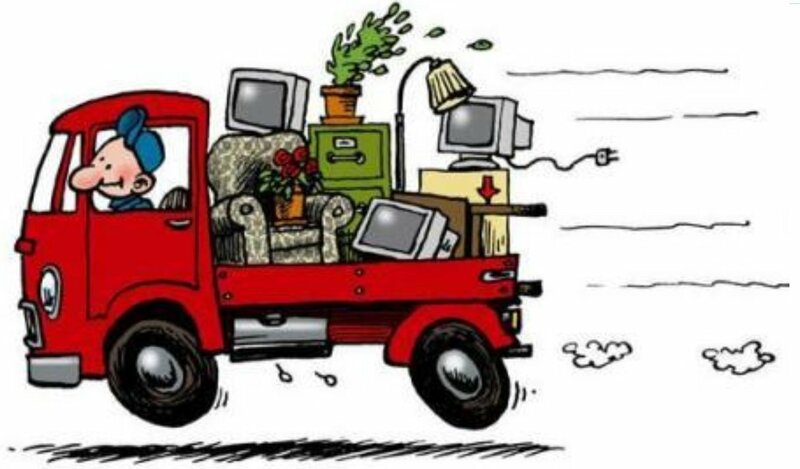 On moving day, set the boxes aside so that the moving company does not load them onto the moving van. On moving day, close up the boxes and punch air holes in the top...load them into your car. While plants are in the car, take care not to leave the plants in extreme heat or cold. Unpack the plants as soon as you arrive. Remove plants from the bottom of the box in order to avoid breaking the stems. Gradually expose plants to sunlight to reduce shock. If you leave your plants behind, take cuttings. Put the cuttings in to a plastic bag with wet paper towels wrapped around the cuttings. Have any questions about the moving process? Send us a message and we'll be happy to connect you with our recommended moving professionals!